From the moment you step into Chef Stephen Pyles’ self-named restaurant, you know you're in for a feast for all five senses. The Restaurant décor exudes sophisticated opulence, while the sheer size and number of dining options aim to accommodate numerous party sizes. The extensive Southwest-inspired menu is similarly lavish, offering ceviches, tapas, appetizers, flatbread pizzas, and a raw bar selection just to start. South American, Spanish, and Middle Eastern flavors meld to produce dishes like the Coffee Masala-Rubbed Strip Steak. And not to be outdone, the wine list spans the globe and compliments the jet-setting menu. Cross Street: N. St. Paul St.
Stephan Pyles has never disappointed us! We have eaten in several of his restaurants and the food, ambience, service, and friendliness has always been and still is at SP, the very best. We brought friends who had never been and they can not stop talking about it. You will not be disappointed - run, don't walk - to Stephan Pyles in Dallas! The food was only surpassed by the service. Pyles was worth every dime and it was a great evening. My wife and some friends visit Stephan Pyles to celbrate her birthday. We found the service to be superb, the food excellent and staff very professional, accomodating and polite. Without a doubt it was one of the best restaurant experiences ever. We would definately recommend this restaurant to anyone. We enjoyed our meal very much. The food selection was very diverse. We decided to try an appetizer, salad and entree. We were stuffed. Delicious and exciting food experience. 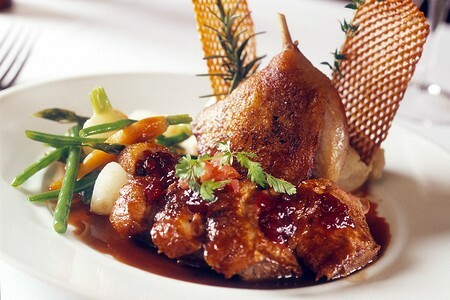 The restaurant has great ambience, a unique menu with excellent food and wine. Our waiter was extremely helpful with explaining items on the menu and helped make our dining out a special occasion. We were traveling from Boston and will recommend this restaurant to anyone we know traveling to the Dallas-Fort Worth area. A good experience. Nice place for a date. This was my first time at Stephan Pyles and I must say It was an over all good experience. The ambiance is nice for a dinner date. The wine and food were very good. I recommend a visit to Stephan Pyles if your looking for a restaurant to enjoy a classy dinner with your significant other.